BETTY JAO, China through the lens of John Thomson (1868-1872), Bangkok 2009. Hard cover 31 x 31 cm. 168 pag. with 157 illustrations. Text in English and Chinese. John Thomson was born June 14th 1837, in Edinburgh, Scotland. After his schooling in the early 1850s he completed his photographic apprenticeship around 1858. Through China with a Camera (1898). In 1881 he was appointed photographer to the British Royal Family by Queen Victoria. After retiring from his commercial studio in 1910, Thomson spent most of his time back in Edinburgh. In October 1921, Thomson died of a heart attack. THOMSON,J., L'empire de Chine Premier voyages, premières voyages (1868-1874), Parijs 1990. Hardcover 22 x 29 cm. 142 pag. met ca 150 zwart-wit foto's. Franse tekst bij een selectie van foto's uit "Illustrations of China and it's people". French text, a selection of photo's from Thomson's "Illustrations of China and its people". The newly invented medium of photography played an important role in creating and disseminating an image of the East. To armchair travellers at home, photographs provided an wonderful way of viewing far away places such as China. The most famous photographer was John Thompson, who produced his monumental "Illustrations of China and Its People" in 1873. 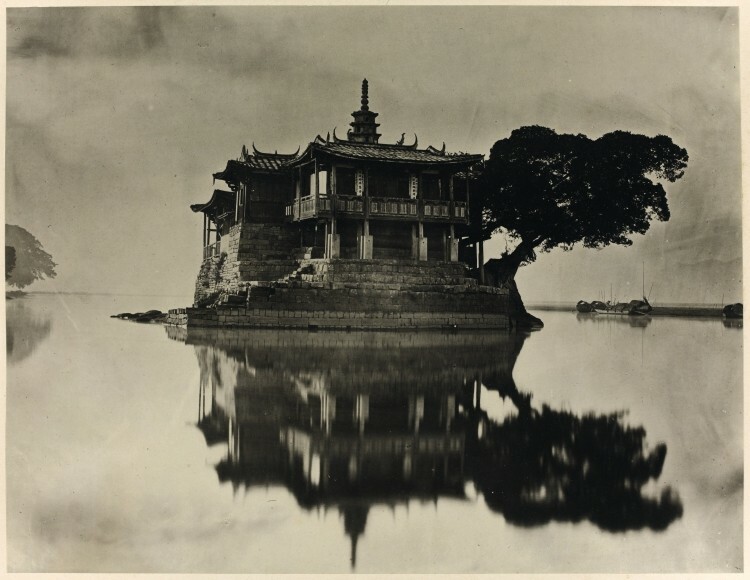 'China Thompson' was one of the names used for John Thompson, born in Edinburgh who was one of the first photographers to travel extensively in China, taking some superb images of the people and landscape. He also covered most of the other countries of the Far East, before returning to live in London." PAISARN PIEMMETTAWAT, SIAM Through the lens of John Thomson 1865-66. Including Angkor and Coastal China, Bangkok 2015. Hard cover 29 x 29 cm. 148 pages with aroun 100 photographs.
" John Thomson (1837 – 1921) was a Scottish photographer who traveled to Siam in 1865 during the reign of King Rama IV. As stated in his biography, “unlike most photographers working in the Far East at that time, Thomson was not a government official, nor a missionary. He was a professional photographer who was fascinated by Asia and its people. Thomson possessed an open mind and was sensitive to the lives and surroundings of his subjects.” He was the first photographer to be commissioned to take photographs of the King and members of the royal family inside the Grand Palace." SOTHEBY'S, Travel Atlasses Maps and Natural History[11/2012], London 2012. Auction catalogue London 15 November 2012[sale: L12405], soft cover 27 x 21 cm. 163 pag. 340 lots. Old photography lots: 99 & 103 China*112-119 India / 121 Korea / 123 Nepal / 142 Corfu / 143 Antartic / 212 French Riviera / 222 Russia / 229 Abyssinia / 230 Madagascar / 235 Zanzibar / 249 Turkey[Constantinople] / 255 Egypt / Geece-Corfu 262 & 263 / 265 Mecca / 270 Turkey[Constantinople] / 276 P. Loti a.o. / 282 Egypt / 290 Persian Gulf / 293 Arabia 301-304 Saudi Arabia / 306 Turkey.